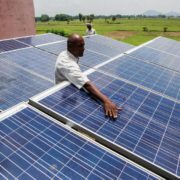 India is expected to add nearly twice as much new solar as last year, outpacing once-booming Japan, according to forecasts by Bloomberg New Energy Finance. 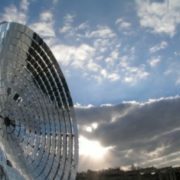 China, the world’s largest renewables market, will see solar growth dip by about a fifth after peaking in 2016, London-based BNEF predicts. 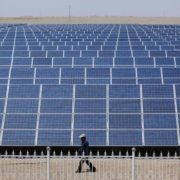 Bolstered by Prime Minister Narendra Modi’s ambitious clean-energy goals, India’s rising appetite for solar power spells good news for Chinese solar cell and module manufacturers including Trina Solar Ltd. and Hanwha Q Cells Co. It comes after the global spot market price for solar panels fell to a record low amid slowing demand elsewhere. 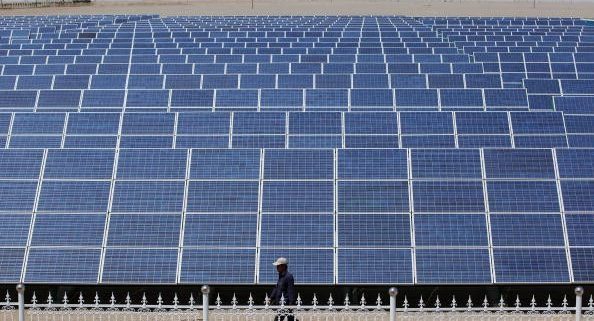 India pipped Japan to become the top importer of solar cells and modules from China for three out of 10 months last year and the trend will continue in 2017, according to Xiaoting Wang, a Hong Kong-based solar analyst at BNEF. “India will account for 10 to 13 percent of global new build in the next couple of years, and its market fluctuation will have an important impact on the short-term supply-demand relationship and therefore the pricing environment,” Wang said. India and Latin America are among key growth markets for solar panels, Trina Solar Chief Executive Officer Gao Jifan said in an interview this week at the World Economic Forum in Davos, Switzerland. The world’s second-most populous nation is likely to add about 8.9 gigawatts of new solar in 2017, nearly twice the 4.5 gigawatts last year, according to BNEF’s most conservative estimate. 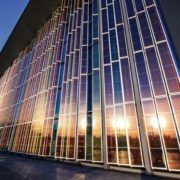 Japan’s new solar capacity may drop to about 6 gigawatts from 8.9 gigawatts in 2016, while China is estimated to fall to about 21.6 gigawatts from about 26.5 gigawatts last year. 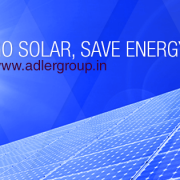 To be sure, India’s solar capacity is still small compared with China, the world’s largest solar market, and Japan. 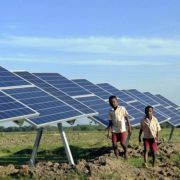 The South Asian nation has nearly nine gigawatts of solar installations, just a third of Japan’s 30.2 gigawatts and a little over a tenth of China’s estimated 80 gigawatts at the end of 2016. While India races against time to meet Modi’s goal of installing 100 gigawatts of capacity by 2022, China scaled back its target by 27 percent to 105 gigawatts by 2020 under its 13th five-year plan amid stagnating electricity demand and a slowing economy. The five-year plan marks the beginning of a new era of reduced investment in renewables, BNEF said in its China Outlook for the second half of 2016, adding that it expects 2016 to be the near-term peak for new installed solar capacity in the world’s second-largest economy. According to BNEF Chairman Michael Liebreich, one of the “less welcome” developments of 2016 was that wind and solar investment fell from their peaks in both China and Japan. “This came as a major jolt to the sector, after many years of seemingly inexorable growth,” Liebreich said in his yearly review for 2016. Japan’s solar installations for 2016 are estimated at 8.6 gigawatts to 9.2 gigawatts, lower than in 2015, according to BNEF’s forecast. The drop comes as the country scales back generous incentive tariffs. China and Japan are now planning to adopt auctions. While India has conducted auctions since 2010 to build solar projects, Japan has promised to introduce the mechanism this year in a bid to lower the subsidies developers receive. Japan’s new solar installs peaked in 2015 when the country added 11.5 gigawatts of capacity, according to BNEF data. 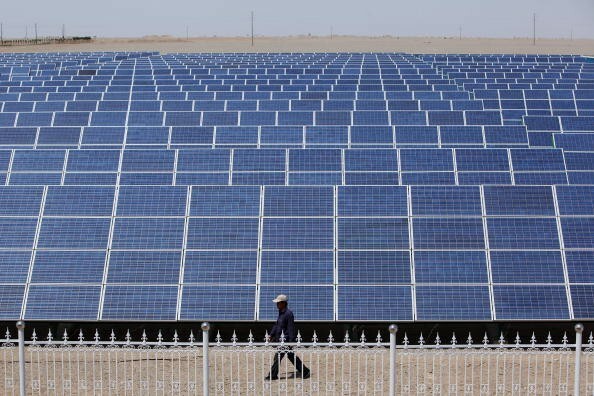 China, which has built most of its solar capacity under feed-in-tariffs, or government-set prices, is reducing these preferential tariffs and encouraging auctions to lower solar prices.